Enjoy an authentic Mexican night in Acapulco including beer and tacos as you experience one of the most popular sporting events in Mexico: Lucha Libre. You will get to see a match and get into the spirit as these masked men wrestle inside the ring. 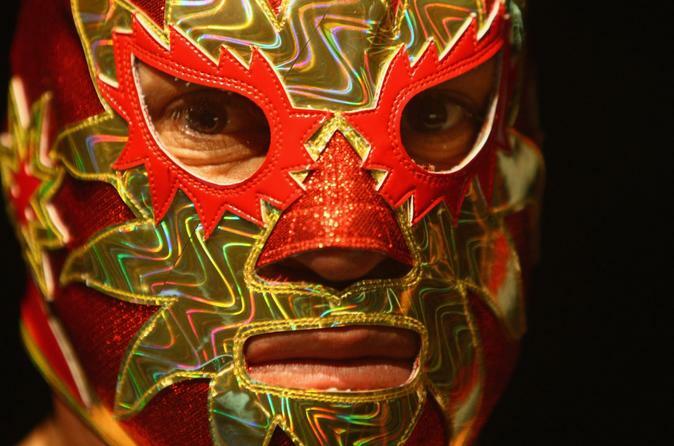 Your tour includes a Mexican wrestling mask to take home plus dinner and transport. Your English - Spanish speaking guide will punctually be at the lobby of your hotel for you and take you to a stop at the best Taco Place "taqueria" for a delicious "Tacos al Pastor Dinner" and beer with your meal. Afterwards spend a thrilling evening in Acapulco enjoying an true Mexican wrestling match in a crowd of local Mexican fans. Kick off the festivities with a “Cubetazo” 4-5-6 beers per person, and then settle into your seat to enjoy the match. See the masked "luchadores" come out to the ring dressed like Mexican comic-book superheroes, warriors or saints and cheer on your favorite. Feel the atmosphere and thrills as they spin inside the ring with the help of ropes. Once the match is over, you'll take a wrestling mask as souvenir and be dropped off back at your hotel where the tour ends. Special Offer - Book by June 22nd to save 10% off our previously offered price! - Book Now!